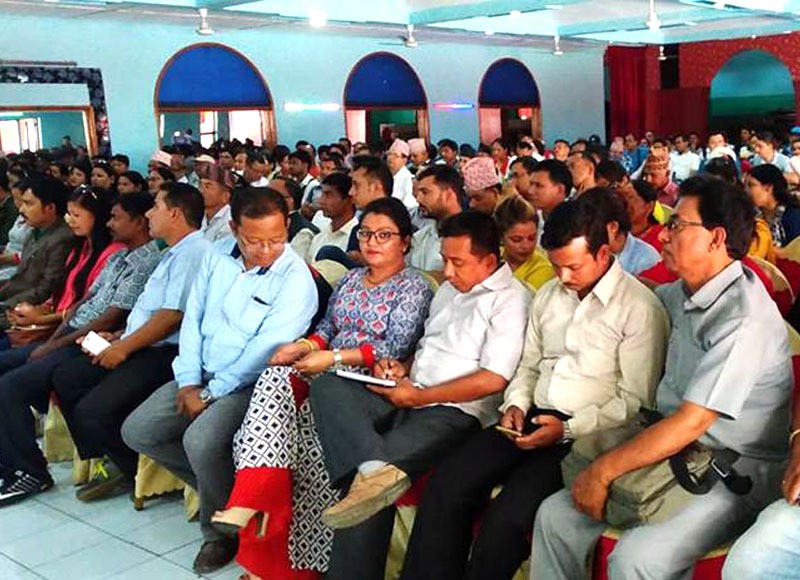 ANTUF –GEFONT Joint Gathering has been concluded in Kathmandu. In Gathering higher-ranking leaders across the country have been participated and orient on unification process. Addressing the program, GEFONT Patron & Chief Advisor of Prime Minister Cde. Bishnu Rimal Said” Unification is the process to concrete the thoughts. In the process we must aware on feelings & shouldn’t hurt the feelings. He further added unification process is very sensitive process so in the initial phase we have to postpone the issue which led Controversy. He expresses happiness that till now most of issue has been solved. He suggested in the process of unification each leaders should give proper responsibilities of both of confederations. He said “after Unification our confederation will be one of the biggest confederations of South Asia & will be example for the world trade union movement too. He said unified movement can have significant achievement.”. Speaking on the occasion, Central Committee Member of CPN Cde. Jay Puri Gharti, said now issues has been clear & there is no room for doubt she further added according to need based party will help in the process. In the program President of coordination committee & GEFONT President Cde. Binod Shrestha briefed presentation about ongoing Process of Unification. He said” we have focused our unification work to complete with in January”. He has also informed about decision of the coordination committee & members of subcommittees. Likewise President of ANTUF said “After the unification majority of Wokers will be in one umbrellas and world trade union movement is watching the process. He further added, we have to unite our strength. He also recalls that in the past also ANTUF and GEFONT were together on the workers issues. Higher-ranking leaders across the country have been back to respective place after having orientation on unification process. Program was concluded with the expectation of common consensus on the unification process across the country.